This clear, user-friendly, comprehensive guide to the duties and responsibilities of church and charity treasurers will prove a godsend to all who undertake this task which, though voluntary, demands a high level of professionalism due to the increasingly stringent requirements of the Charity Commissioners. This new edition includes all the latest updates on accounting, banking, expenses, tax, insurance, charity law, employment and fund-raising and the many new issues affecting churches and charities: Gift Aid and the changes in tax rates, new tax rules for substantial donors, new accounting guidance for bodies with a turnover of above GBP250,000, amended definitions of what constitutes a charity's income, changes to pensions, implications of new water charges for churches, postal rates and how to calculate them, diagrams, 'Tips for Treasurers', and a glossary of terms and other features make this an indispensable guide. Notes on Scottish and Irish charity law are also included. 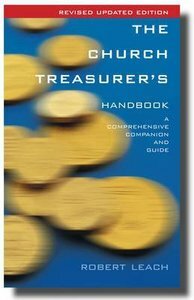 About "The Church Treasurer's Handbook"